Few people know that they can do trekking around the kathmandu valley as trekking has been totally dominated by the cultural highlights of this place. You might be surprised to know that there are so many places in the kathmandu valley, which are totally out of the so-called "modernization". Considering this fact, we have discovered a trekking program in the valley that offers a rich insight into the lives, history, culture and religion, together with the daily toil in the fields of its inhabitants. We take you to the valley rim lying around 1000 to 2800 m enabling you to see the flowering rhododendrons and through the autumn and winter, the wonderful mountain vistas stretching from everest in the east to annapurna in the west from certain view-points. Beside this, this program helps people to go deep inside the cultural aspects of the nepalese people from high altitude places to the low lands. You are enabled to experience a day white water rafting in the famous learners' river trisuli along with the wildlife activities at the famous national park at chitwan & leave yourself to enjoy the vistas of the mountains to your close eyes with the impressive boating on the lake in the heart of the city at pokhara. Arrive at tribhuvan international airport. Welcome by our staff. Transfer to hotel and briefing about the package, lunch. 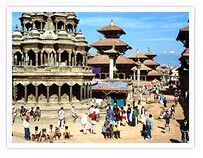 Transfer to the sightseeing of kathmandu durbar square. Welcome dinner. Breakfast at the hotel. Sight-seeing of swoyambhunath, pashupatinath & boudhanath. Breakfast at the hotel. Drive to sundarijal, start trekking. Lunch at the standard local restaurant. Start trekking again. Breakfast at the hotel. Start trekking till the lunch stop. Lunch at the standard local restaurant. Resume trekking. 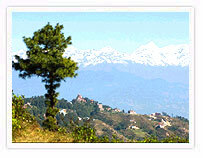 Morning stroll around nagarkot, sunrise tour. Breakfast at the hotel. Afternoon transfer to kathmandu. Lunch at the hotel & free on your own. Breakfast at the hotel. Drive to the rafting starting point. Orientation & paddling demonstration, start rafting. lunch at the river side. Drive to chitwan national park. Check-in at the resort. Lunch and dinner at the resort in the national park. Breakfast at resort jungle activities. Lunch at the resort. Jungle activities. Dinner at resort. Full day wildlife acitivities such as elephant ride, jungle safari, nature walk, canoeing etc. Breakfast at resort. Drive back to pokhara. Arrive in kathmandu and check-in at the resort. o/n hotel at pokhara. Breakfast at the hotel. Half-day sight-seeing of pokhara city (seti gorge, davis fall & mahadev cave). Return back to the hotel, refresh. 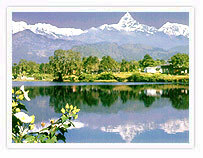 Go the lakeside and enjoy an hour of boating at the fantastic phewa lake of with fishtail mountain on the background. Walk around the touristy area of lakeside. Breakfast at the hotel. Afternoon free for the last minute shopping. Dinner at the hotel and depart for the airport.